Fortnite is a pretty popular game and the most popular in the Battle Royale Genre. It is free-to-play and also available on most of the platforms except for Android. 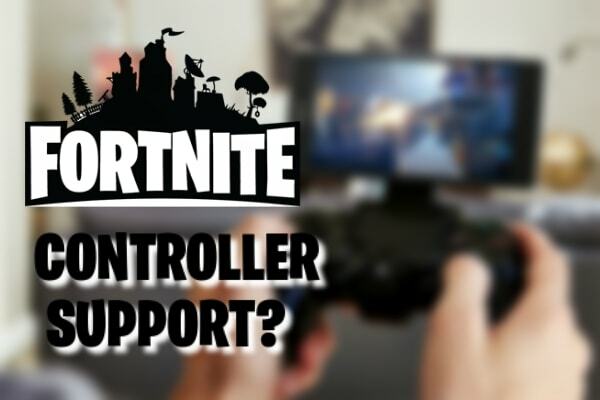 Epic Games recently released Fortnite Mobile, and people have been asking the same question: Can you play Fortnite Mobile with a Controller? The reason behind this is pretty obvious. It becomes a lot easier to play with a controller. Moreover, the game supports cross-platform play across different platforms. So, using a controller on Fortnite Mobile can help bridge the gap between the players. Mobile players can be at a disadvantage against PC or console players. A controller would help to even the playing field a bit and give mobile players a chance at Victory Royale. When Epic Games announced Fornite Mobile, there was no mention of a controller support. And the answer to the question is somewhat complicated. And the game is only available to iOS users, so it shouldn’t come as a surprise that there is no controller support at the moment. One of the main concerns is about the controls because it isn’t as easy as you would think with the default touch controls. But don’t fret, because the controller support for Fortnite Mobile is on its way. Though it will probably take some time to arrive, it will definitely be available after the Android release of the game. The official website of the game has a FAQs section. And what we know from the QnA there, Bluetooth controllers will be later available to use. So, if you are in dire need to play Fortnite Mobile with a controller, stay tuned for more news regarding this topic. As soon it is available, we’ll let you know. Don’t forget to check out our website for more interesting stuff.